We study ultrafilters of broadly understood measurable spaces and possibilities of their application as generalized elements in the construction of attraction sets in abstract reachability problems with constraints of asymptotic nature. A class of measurable spaces is specified for which all ultrafilters including free ultrafilters (with empty intersection of all of their sets) are built constructively. 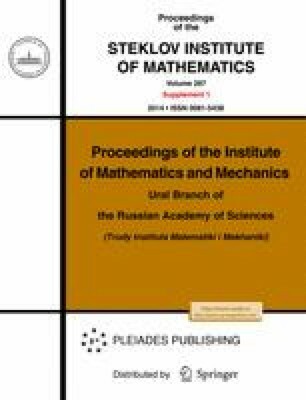 Original Russian Text © A.G. Chentsov, 2013, published in Trudy Instituta Matematiki i Mekhaniki UrO RAN, 2013, Vol. 19, No. 4.